As Chelsea look to move on from their miserable 2015-16 season, the Blues are making some ambitious moves in the transfer market—and the latest news suggests there will be movement sooner rather than later. Clearly, a new striker is a priority for the Pensioners. Radamel Falcao, Alex Pato and even Loic Remy appear to have come to the end of the road at Stamford Bridge, while even Diego Costa has fallen way below his usual high standards this term. The Blues may have seven weeks until incoming coach Antonio Conte comes to the club, but already they’re making plans to replenish the squad before the new man’s arrival. And it looks like Conte is already offering his own input into the west Londoners’ transfer plans. According to Squawka, the Italian coach is particularly keen on bringing Napoli forward Gonzalo Higuain to the club, even if the forward will take a hefty £65 million out of his transfer budget. 28-year-old Higuain broke the Serie A record for goals in a single season with the Partenopei last seaon, and could be the lethal centre-forward the Blues need to return to the top of the table. This may mean disappointment for Romelu Lukaku. Chelsea are unlikely to be able to bring both forwards to the club, and with Higuain emerging as the priority, Lukaku may become something of a Plan B. According to the Telegraph, the Belgium international—who was sold by Chelsea to Everton in 2014—is keen on a return to his former club. 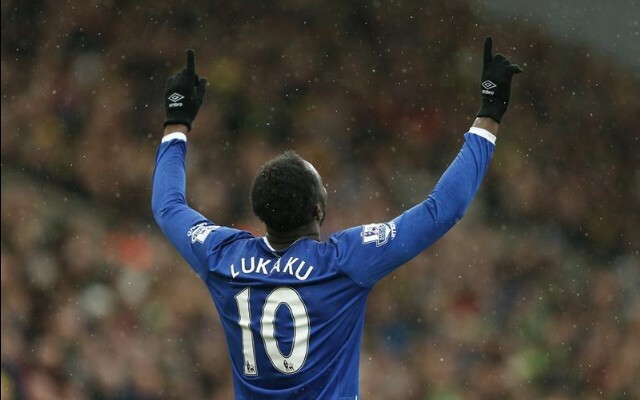 Lukaku is not the only player talking up his own prospects of a move to Stamford Bridge. Speaking to Globo Esporte [via the Daily Express], Santos midfielder Lucas Lima has namechecked the Blues as one of the four European club he’d be keen on joining.